Flight training has never been easier, thanks to Sporty’s updated Learn to Fly Course. It's everything you need to prepare for your written test and earn your pilot certificate, with ground school, test prep, and real-world training - all in one easy-to-use package. We've added new content and more innovative features to make our Learn to Fly Course the best training product in aviation. For the cost of a single flight lesson, Sporty's Learn to Fly Course will save you hours of time in the air and hundreds of dollars. 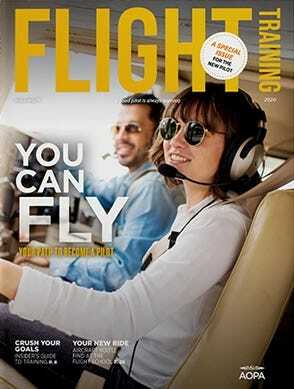 It includes complete video lessons, interactive written test prep and real world flying tips. We guarantee you'll pass all three FAA tests - or your money back! Plus, you'll get all three formats for the same price: online course, iPad/iPhone app, and Apple TV app.